This tranquil setting is surrounded by park land & farms yet just 5 minutes to I-5. Peaceful, private, and extensively updated with over $65,000 of improvements since 2015. Newer paint, remodeled kitchen with quartz counters, new HVAC, and more. Large, flat yard, hot tub, water feature and garden with fruit trees & grapes. Easy living floor plan with high ceilings, spacious rooms, dialed in media room off the bonus, and heavenly master. Please, send me more information on this property: MLS# 19332142 – $989,000 – 12370 Sw Wilsonville Rd, Wilsonville, OR 97070. 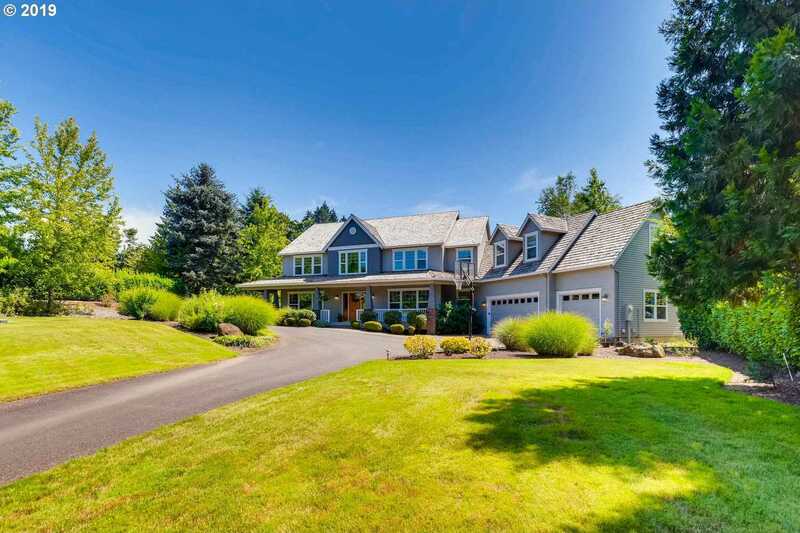 I would like to schedule a private showing for this property: MLS# 19332142 – $989,000 – 12370 Sw Wilsonville Rd, Wilsonville, OR 97070.